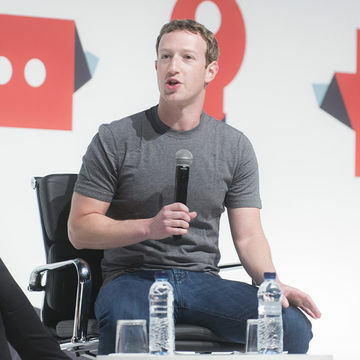 New dad and Facebook CEO Mark Zuckerberg isn't too busy running the most revolutionary social media company of all time to change thousands of diapers. Talk about a multitasker. New dad Mark Zuckerberg has been letting Facebook users everywhere take a peek inside his world as father to Max Zuckerberg. Most recently, he let fans into an intimate (yet mundane) moment with his daughter when he shared a picture of himself changing baby Max's diaper. We are definitely impressed that Mark is so dedicated to posting about his daughter... but we're really not surprised. He's been vocal about taking advantage of paternity leave and has already shown great commitment to making sure his daughter grows into an educated, compassionate woman. It's a pretty amazing thing to see—diaper changes and all.